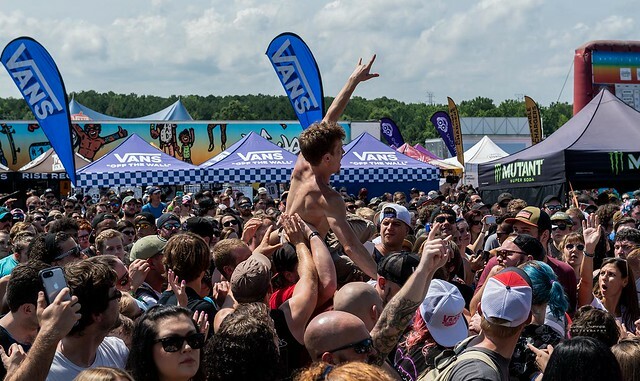 News: 2019 Vans Warped Tour Announce Lineup Reviewed by admin on March 1, 2019 . We’re Warped brats. Some of the staff have attended the very first Vans Warped Tour all the way to the very final cross-country festival layout of traveling the whole of the USA. Now it’s to be announced in three areas, totaling five shows; lucky for us we’re in two of those areas, and with all the details that have dropped from the creator’s mouth already has us pumped from the number of stages, bands, and everything in between, we have the details. First up though, a tiny bit of what you might expect from a seasoned Warped-tonian, Dia. All of your essentials will be packed and ready to go. You’ll forget sunscreen, don’t. Water is available all around, you’ll think you’re drinking enough. You aren’t. There are so many cool acts to see, you’re all set to see at least 3/4 of the bands billed to play. You won’t but that is OK. Band signings are going to be awesome to meet someone for three seconds. They aren’t – it’s just for social media update status and giving everyone FOMO. You have to a perfect outfit that is functional and breathable and still your still. You will probably achieve this goal BUT you will be forced to pick style over functionality or vice versa. Pick one and run with it. It’s going to be the defining moment of your concert-going life. We agree, but best advice here if you have friends that have never experienced the festival bring them along this time! The new face of Warped: Lineup for each date. 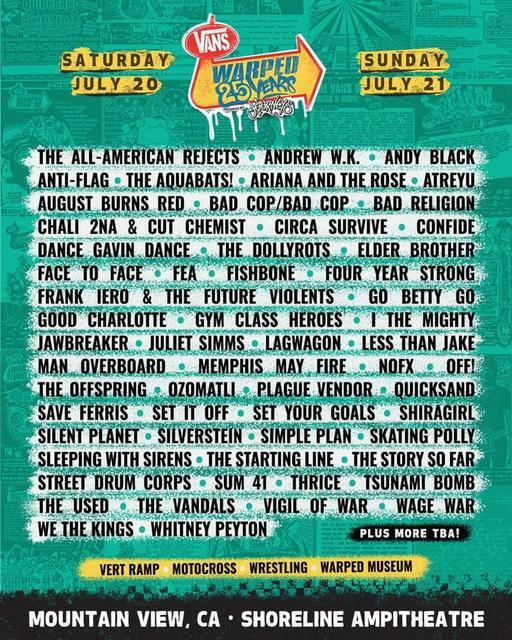 Most excited to see: New Jersey’s Warped date is filled with must see bands! We’re looking forward to Blink 182, because well you don’t get anymore Warped Tour then Blink. Good Charlotte are always a must see on our list and to see them back on the Warped Tour stage will be magical. CKY is always a blast and completely stoked that they’re crossing the Pennsylvania state line to play in Atlantic City. Of course we can’t forget A Day To Remember, these boys are a staple for Warped and it’s only fitting to see them rounding out the bill. Other band’s we absolutely can’t wait to see on the beach include Dirty Heads, Atreyu, The Offspring, Gym Class Heroes and Simple Plan. 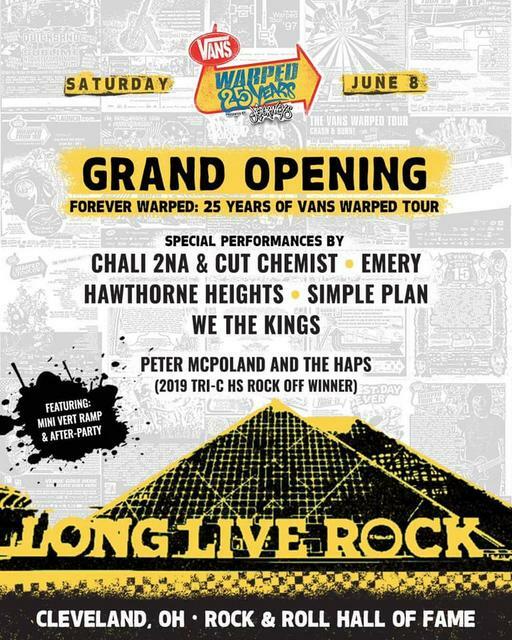 What is missing: The only thing that could have been more amazing about the line up’s would have been seeing a My Chemical Romance reunion and we personally would have loved to see Green Day back on Warped Tour. As always they will NOT be announcing set-times until the morning of the event, which adds to the scramble and adrenaline pump you have come to know and love with WT. Taking it back a bit old-school from what many didn’t get to experience there will be skateboard ramps, motorcycle jumping, the human cannonball or the wrestling. 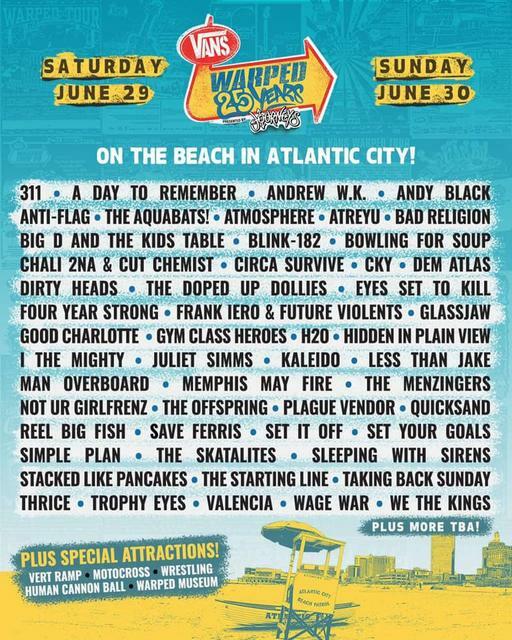 Atlantic City and California dates are set to have five stages each with roughly 50 bands playing. They will be mixing it up, each of the West and East coast events are set to have different line-ups. What date do you want to attend? We’re going to go with all, but if we had to choose it would be New Jersey.